SNP Inc. Announces Kosher Certified Products | SNP, Inc.
SNP Inc. is strengthening its natural sodium alginate polymers in 2017 by announcing the kosher-certification of its C-series and N-series product line. 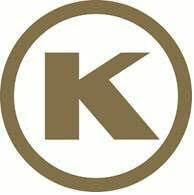 In partnership with OK Kosher, SNP Inc. successfully completed the kosher-certification process. Our alginate Kosher products will bear the OK Kosher symbol. SNP recognizes that customers have diverse needs, and providing natural polymers that adhere to kosher standards is often mandated in competitive markets. We are proud of our green natural products and excited to offer this certification to our customers seeking to uphold kosher standards. To learn more or to purchase our kosher-certified natural sodium alginate polymers, contact us today!